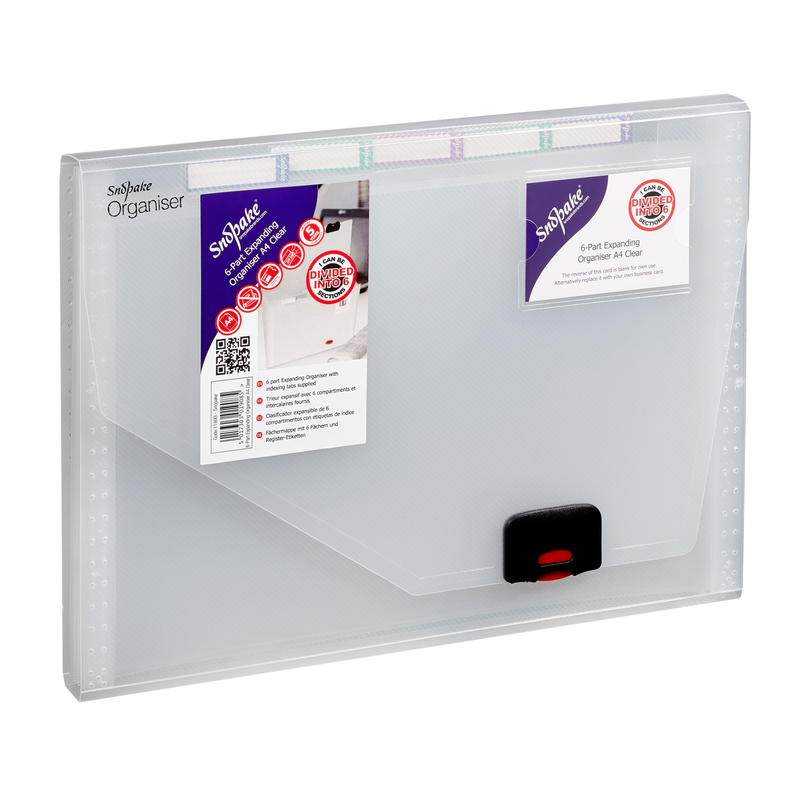 This stylish Snopake expanding organiser has 6 compartments with coloured index tabs for organising reports, projects, presentations and more. 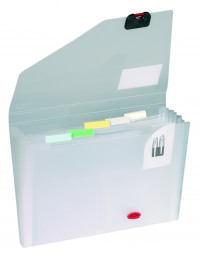 The durable polypropylene organiser is water-resistant and features a secure, colour coordinated closure and a business card holder on the front for personalisation. 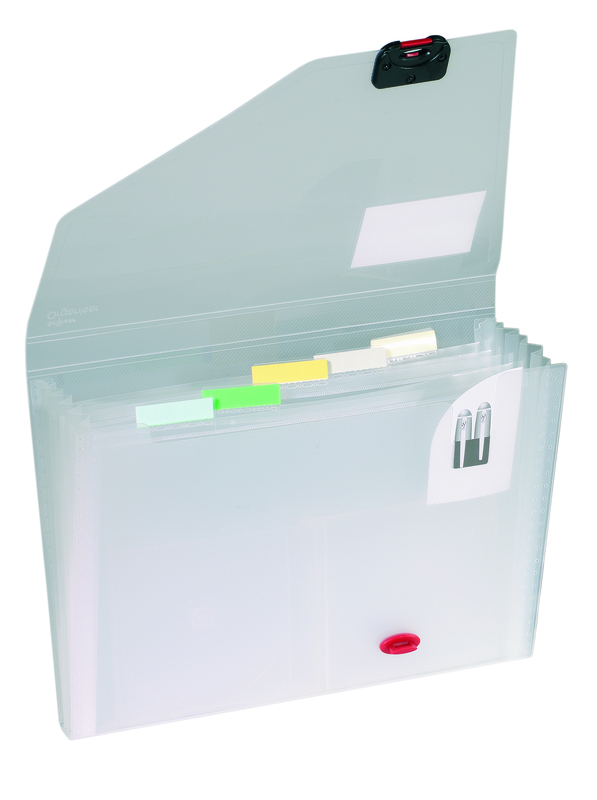 This A4 file comes in a clear colour and holds up to 300 sheets of A4 paper.